In a Teams live event, attendees can interact with producers and presenters through a Q&A, if the organizer set it up when they organized the event. 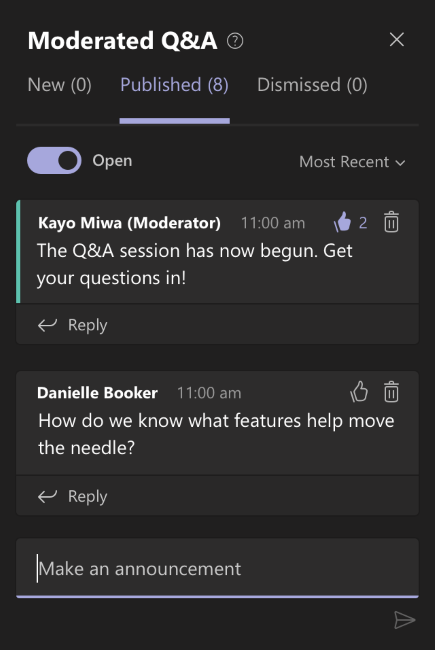 When a live event is created with a Q&A option, the Q&A is open by default and attendees can start asking questions even if the event hasn't started. These questions are only visible to moderators until they publish them to the event. To open the Q&A, click Q&A on the right side of the screen, then click Open. Click Closed to close it. Select Q&A on the right side of the screen. Note: The Q&A panel only appears if the organizer has set it up. Type your question in the compose box, and then select Send. If you want to ask your question anonymously, select Ask anonymously. Type an announcement and click Send. Select a question and choose Private reply to respond to it. The answer is instantly available to the person who asked the question. 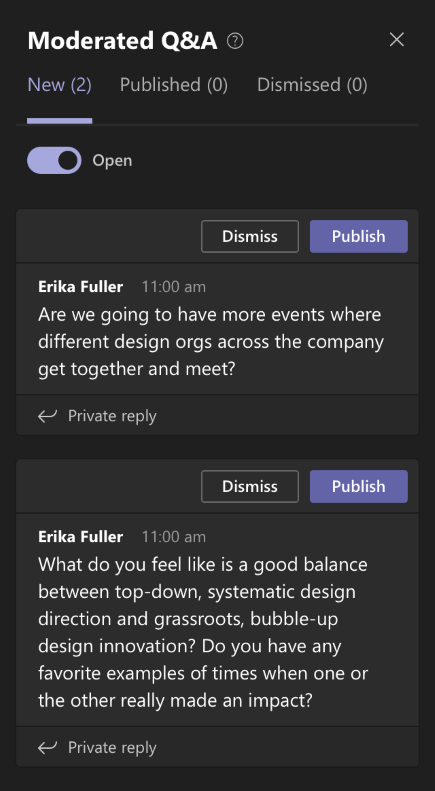 Select Publish to make the question and answer visible to everyone.